Who's that Knocking on my roof? Have you been waking up in the morning to the rat-a-tat-a-tat of a woodpecker on your roof, or siding! That would be the mating call of the Northern Flicker. 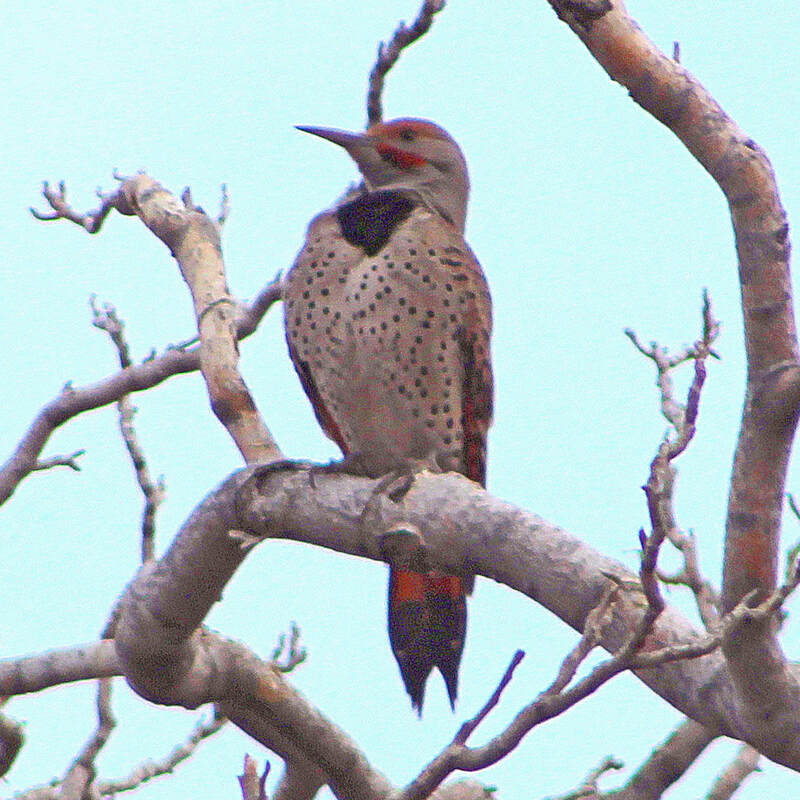 The western subspecies is called the Red-Shafted Northern Flicker. The male and female both have red mustaches, but the male also has red on the top of his head. You'd think all that pounding would be bad for the birds, but they have a very thick skull, and happily for us, they do very little damage to our wood or aluminum, with only slight dents as a result of the pounding. Listen to the call of the Northern Flicker to see if you have one of these beauties hanging around your yard! Hear the call of the Northern Flicker by clicking here.